How will the purchase process change? In order to further increase the security of the use of bank cards online, CIB Bank will introduce the use of the confirmation code for online purchases (hereinafter: Confirmation code) on 1 March 2019. The service provides enhanced security for bank card purchases online. The service is free of charge, so the bank will no charge any fees for the messages with the Confirmation Code. After the introduction, the use of the confirmation code for online purchases will be mandatory at all places of acceptance which use the 3D Secure service in the course of card acceptance. If the provision of the code is mandatory for a particular online purchase, the transaction will be rejected unless the correct code is entered. In the case of an online purchase, the provision of an additional unique identifier code, valid for 3 minutes and sent via a text message or a Smart Notification, will be necessary in addition to the usual bank card data (name, card number, expiration date, CVC/CVV code) at places of acceptance (merchants) that use the confirmation code for online purchases (3D Secure) service. If the place of acceptance (merchant) concerned uses the Confirmation code (3D Secure) service, then online purchases using a bank card can only be completed by using the online security code. How do I know whether the place of acceptance (merchant) uses the Confirmation code (3D Secure service)? 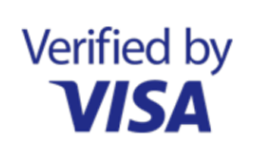 The "Verified by Visa" or "MasterCard SecureCode" logo draws attention to the fact that the given merchant has joined the Confirmation code (3D Secure) service. 1. You should start the online purchase as usual. The change will occur after you selected the payment method by bank card. 2. Once you have entered your bank card data on the 'Payment by bank card' screen, a new screen is displayed that shows the transaction details and an input field called SecureCode/Password. 3. At the same time that the above screen appears, the Card Holder will receive on his/her mobile phone a text message or a Smart Notification sent by the CIB Bank mobile application. 4. If the data contained in the message are correct (and match the transaction data displayed on the screen), the unique code sent in the message and which is valid for 3 minutes must be entered in the “SecureCode/Password” field. The payment will only be successful if the code is entered correctly and within the validity period. 5. You have 3 chances to enter the correct code. If the Card Holder enters an incorrect code three times, the service will be temporarily blocked, which means that the Card Holder cannot use the particular bank card for online payment for 60 minutes. The Client or the Card Holder may request the release of the blocking via the CIB24 Customer Service call centre or in person in a bank branch. If you enter the Confirmation code incorrectly on nine subsequent occasions, the service will be permanently blocked. In this case the Client or the Card Holder can request the release of the blocking via the CIB24 Customer Service call centre or in person in a bank branch. - one of the most secure solutions currently available for bank card purchases online. You can change the phone number set for the service, or submit a new phone number or set up the Smart Notification in person in a bank branch or via the CIB24 customer service call centre following identification. The detailed terms and conditions of the service are included, in the case of consumer customers, in the Specific Business Regulations pertaining to Bank Cards for Consumers effective from 1 March 2019, or in the case of businesses, in the Bank Card Specific Business Regulations for businesses, other organisations and sole traders. The details of the amendment are available both in our bank branches and on our website (amendment published on 27 December 2018). (1) In the case of bank cards requested before 1 February 2019, the confirmation code for online purchases will be sent out from 1 March 2019 in the manner specified by the provisions of, in the case of retail customers, the Specific Business Regulations pertaining to Bank Cards for Consumers or, in the case of corporate customers, the Bank Card Specific Business Regulations.